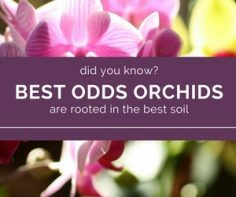 The best orchid soil is one that will provide life sustaining water to the orchid’s roots, but it should also be fast draining to prevent root rot and long lasting. I’m all about best-odds. 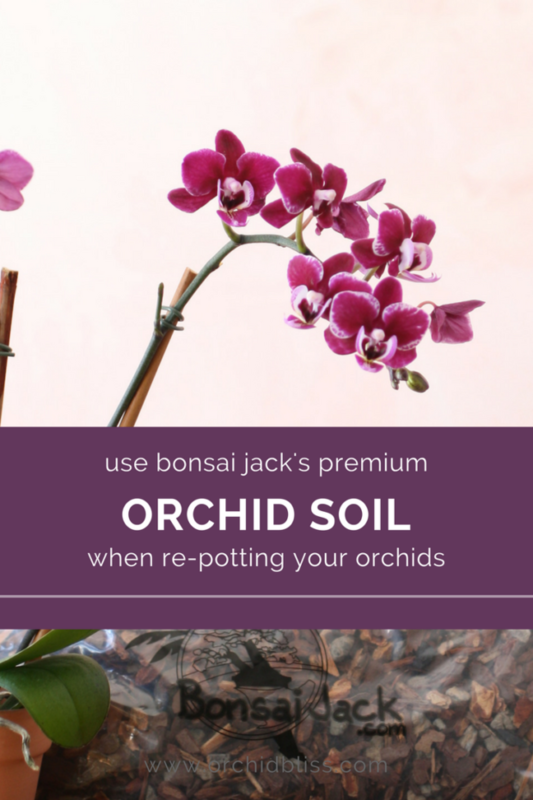 Using premium potting medium gives orchids the greatest possible chance to grow into healthy plants. Beginning from the bottom up encourages both vigorous roots and the development of flower spikes. 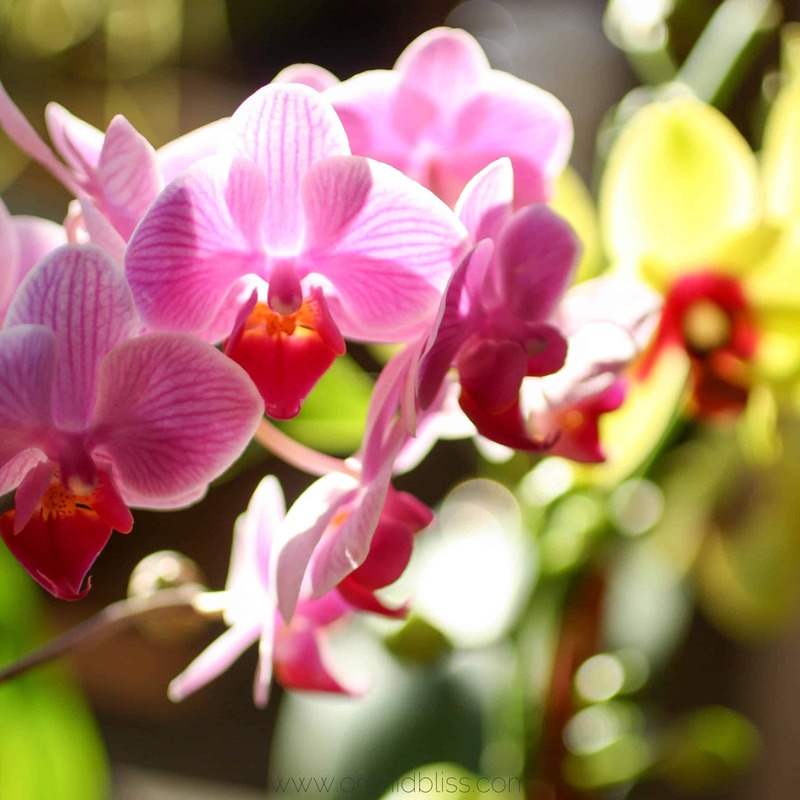 Orchids want to brandish their flowers, and giving them the very best soil allows them to do just that. Sphagnum moss has 3 main benefits for orchid distributors. First, because the moss packs very tightly it keeps the orchid anchored in the pot. Second, because the moss binds with itself and won’t spill and make a mess. Third, the moss also keeps the orchid hydrated. The problem is that the moss can hold too much moisture for too long and deny the roots of vital air flow. Although sphagnum moss makes it easy for distributors to ship orchids, it’s not the best potting medium for long-term orchid health. Orchid need air circulation around their roots. Because sphagnum moss packs so tightly, the roots don’t get the circulation they need. Orchid roots need water, but they don’t like to sit in water. Orchids planted in sphagnum moss need to be watered less frequently than those planted in bark. 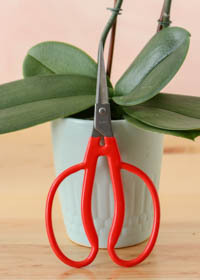 A well draining potting medium is better suited for orchids. Before you think there is no place for sphagnum moss in potting orchids, I’ll tell you why it is useful. If you want to plant an orchid kokedama style, or pot multiple orchids in a single container for a show-stopping display, sphagnum moss is essential. 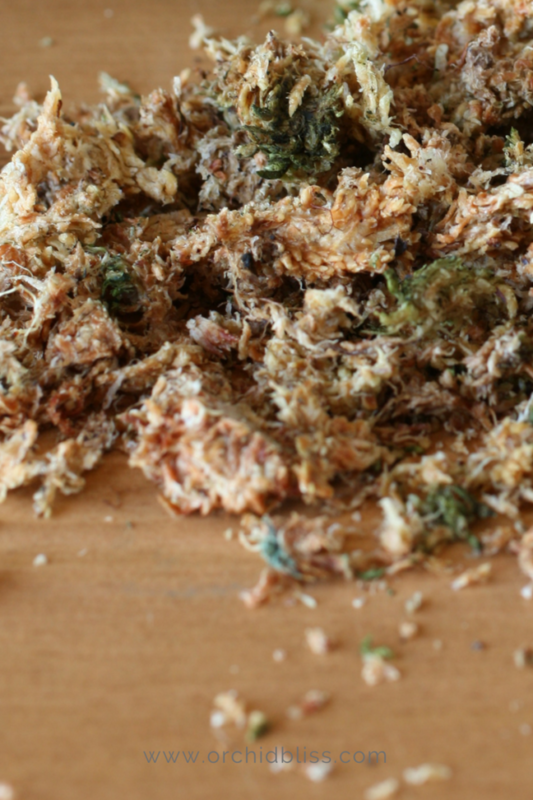 In addition, some orchid growers like to add bits of sphagnum moss to a bark based potting media for added water retention. 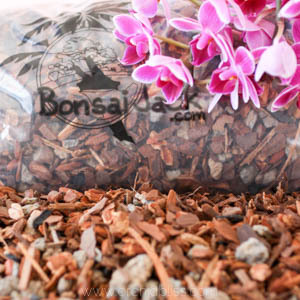 Bark is a well-draining potting medium that allows for air circulation around the orchid’s roots, and it also has some water retention capability. But, unlike sphagnum moss, bark does not sop up water like a sponge. 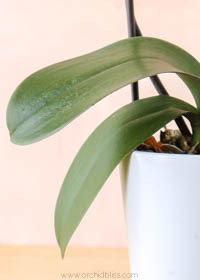 This is a good thing as bark allows the orchid’s roots to breathe and slowly releases water to the orchid’s roots. 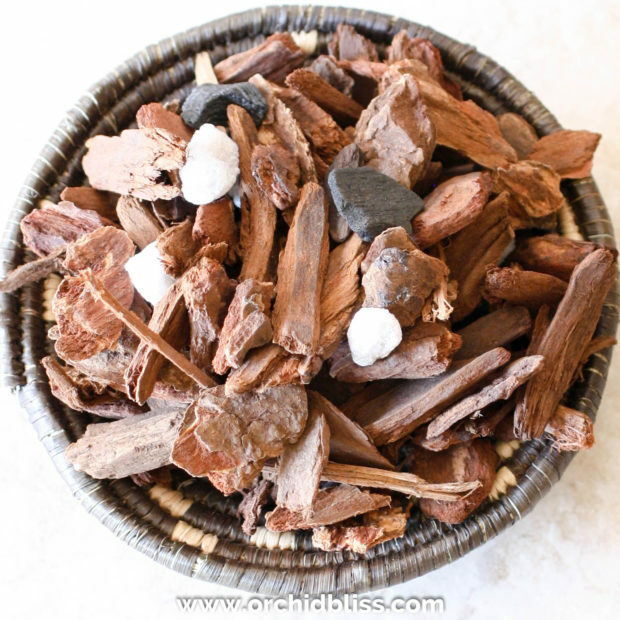 The best bark-based potting mixes include some perlite and horticulture charcoal to keep the mix from compacting and to add slow-release moisture to the roots. If you’re accustomed to growing in sphagnum moss and switch to bard, you will be surprised at how much more often the orchid will need to be watered, especially in the beginning. Over time, the bark will become more absorbent. 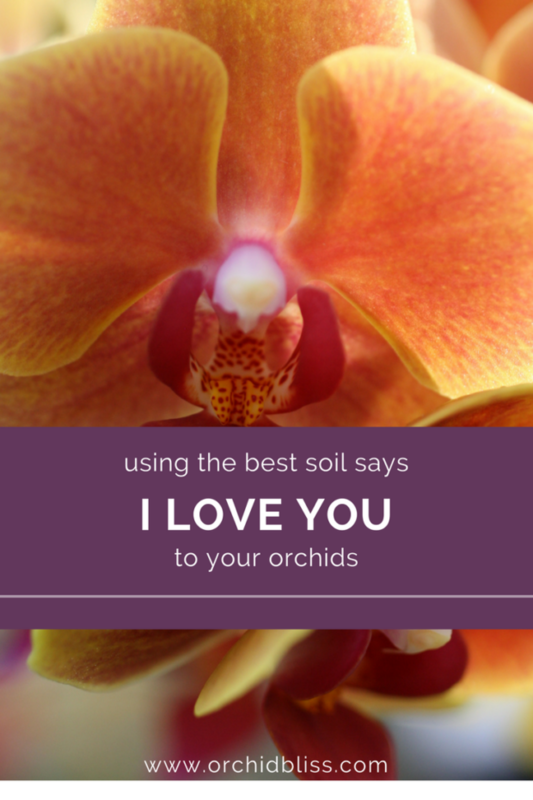 TIP: As orchids do not really love the potting process, you’ll want your soil to last as long as possible. Choose a high-quality bark-based product that will last 1-2 years. Don’t let anxiety about the new experience of potting an orchid keep you from repotting your orchid. 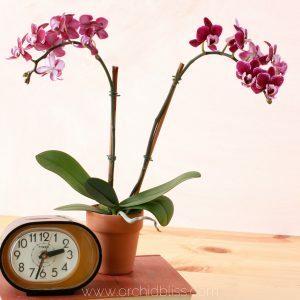 Follow these link to find out if the time is right to pot your orchids, and to learn how to do it. 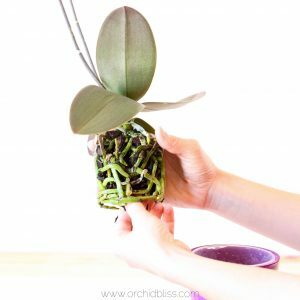 Using the best orchid potting mix will help to ensure healthy roots that will lead to the overall vigor of the orchid plant. It’s your way of saying thank you, bloom again, please! to your orchids. I have an aversion to inhaling dusts & powders. 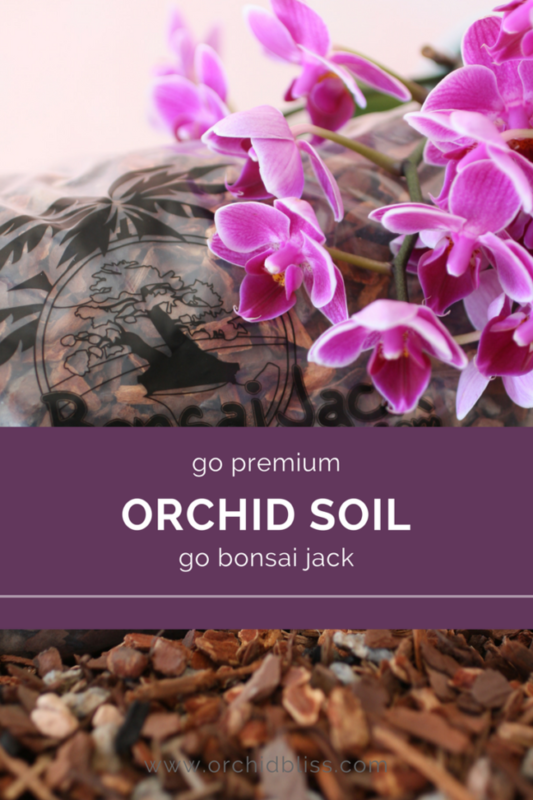 Going to order some Bonzai Jack Orchid Mix. Worth it. It’s great a soil.It won’t break down and hold water without being soggy and is well-draining. Does this mix also work well for rooting Christmas cCtus cuttings? Instead of an orchid potting mix, try this succulents and cactus gritty mix. And check out Succulents and Sunshine, an amazing website on caring for cactus. I’m at a loss! I recently purchased a Cymbidium orchid and I can’t find a whole lot of information on what type of pot or soil to re-pot it in. It came from a local grocery store and recently stopped blooming so I’d really like to re-pot it soon! Orchid bark and an orchid pot or something completely different? Please help! Congratulations on your Cymbidium. 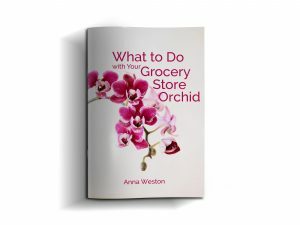 These can be very rewarding orchids with an amazing profusion of flowers. To pot a Cymbidium use a fine-grade potting mix, like those recommended for seedlings or mini orchids. This is the potting mix that I use and trust: Bonsai Jack Miniature and Seedling Mix. Quick Tip: These orchids need cool temperatures in the fall to prepare to bloom again. Thanks for the wonderful write up. I have shared it on my twitter page.